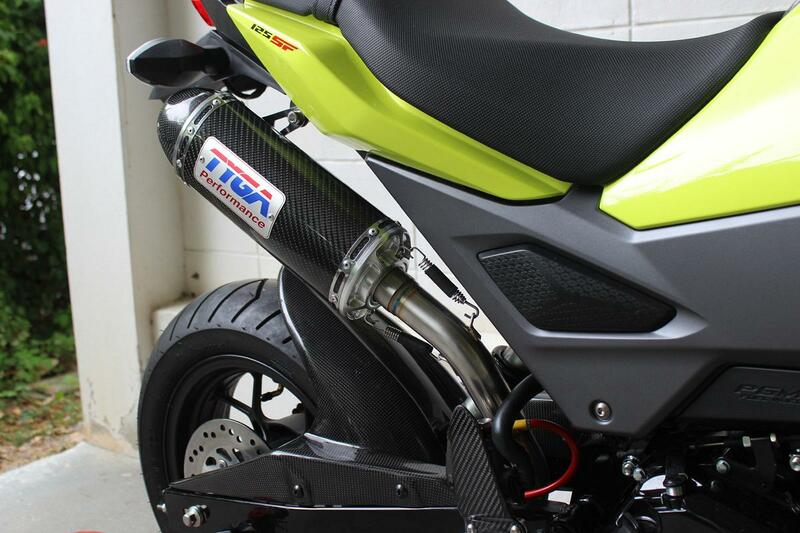 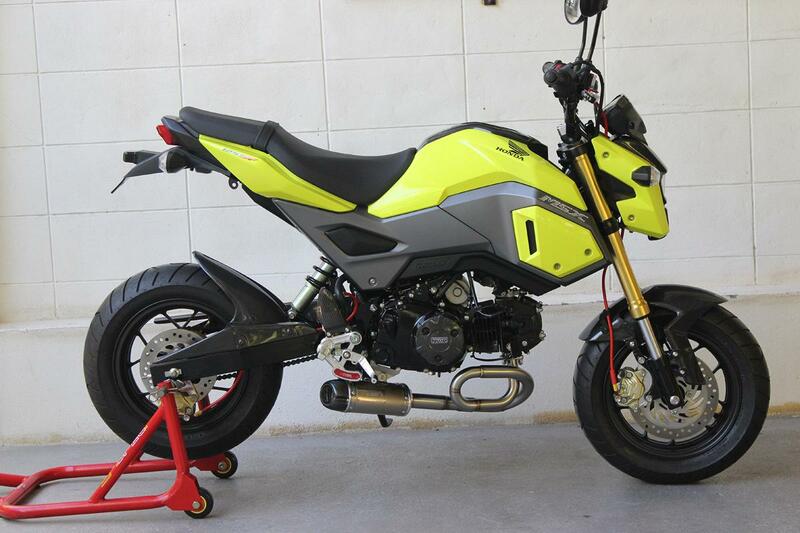 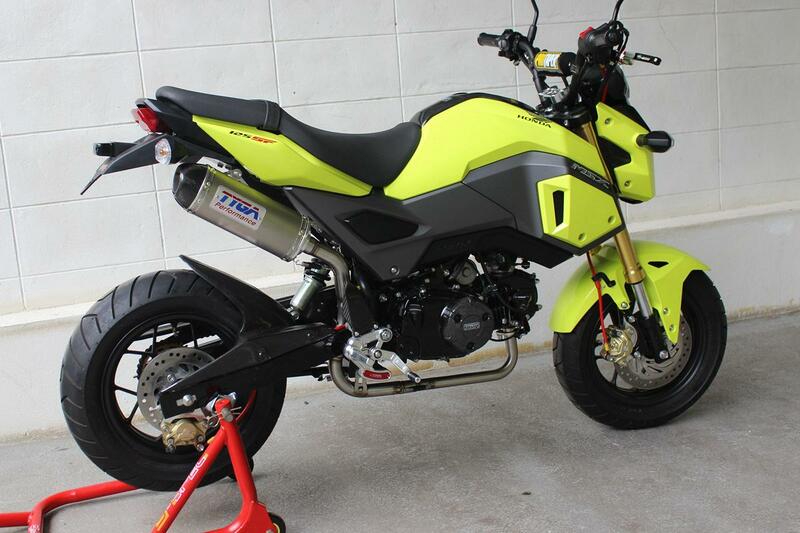 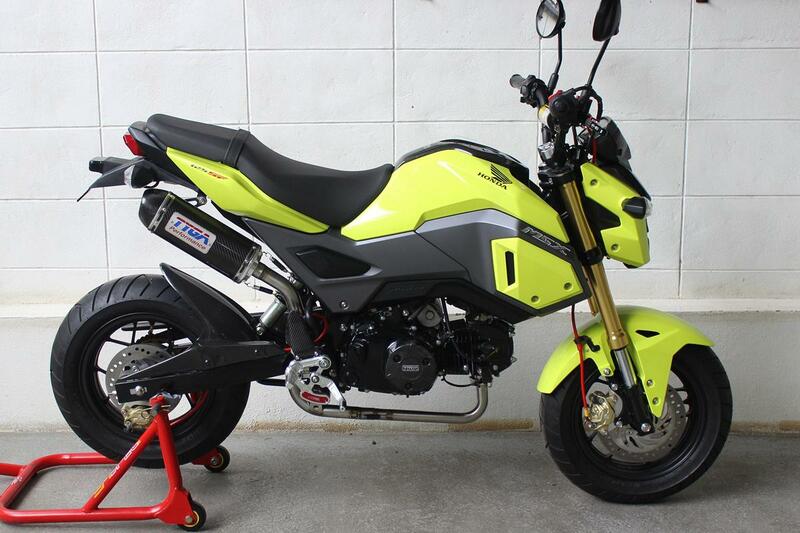 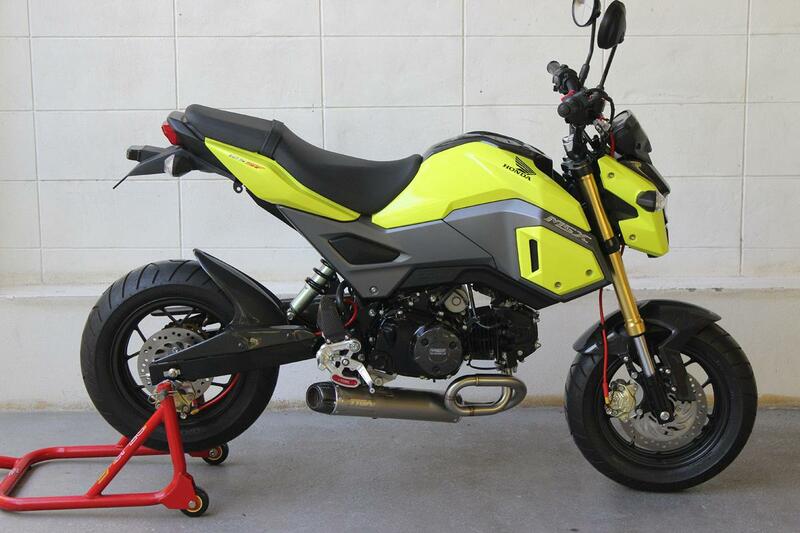 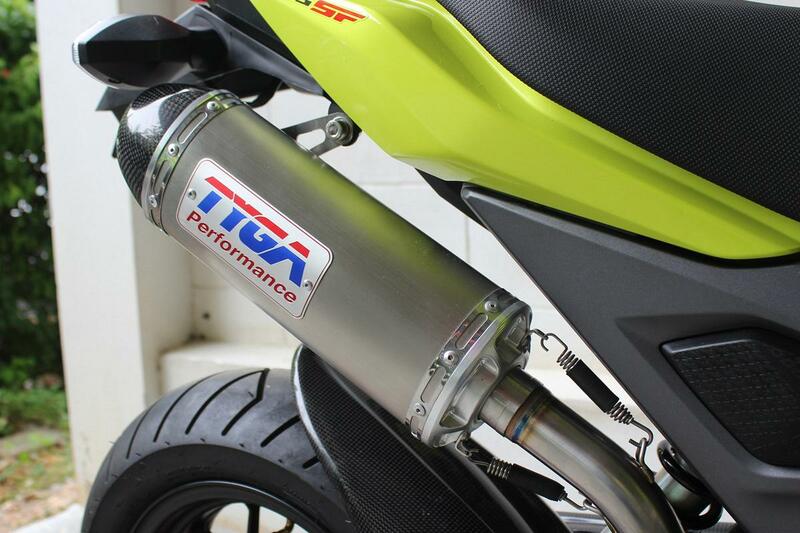 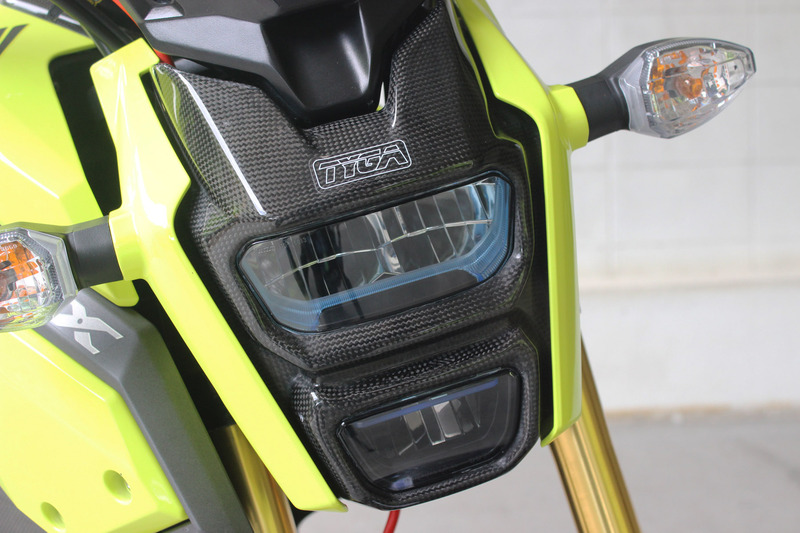 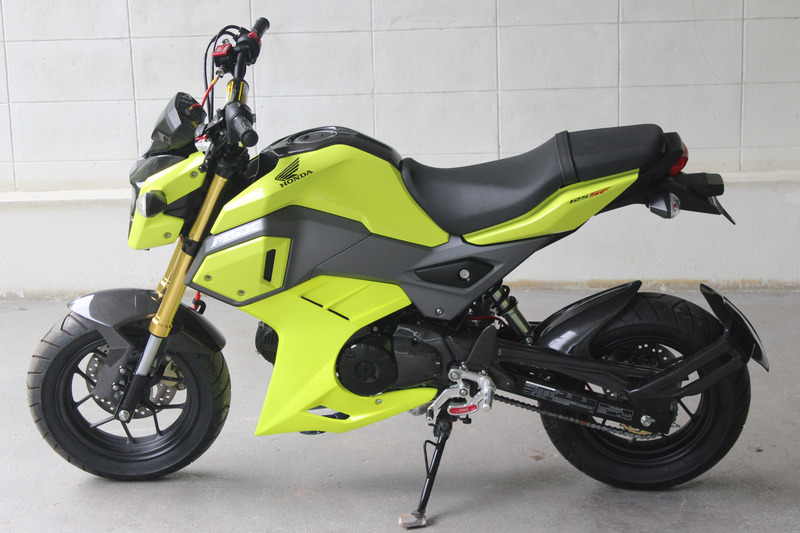 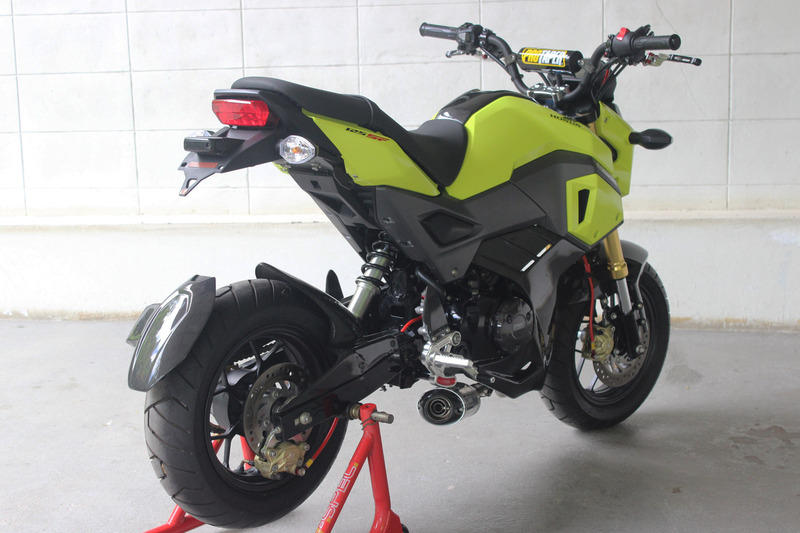 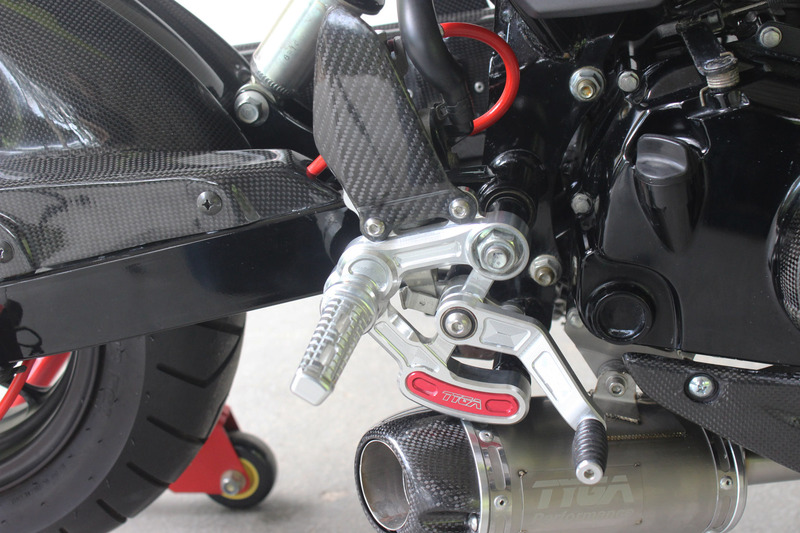 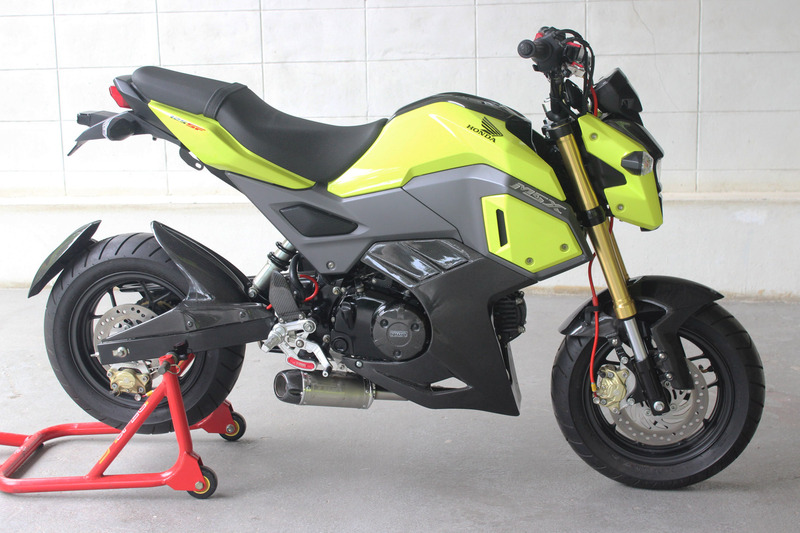 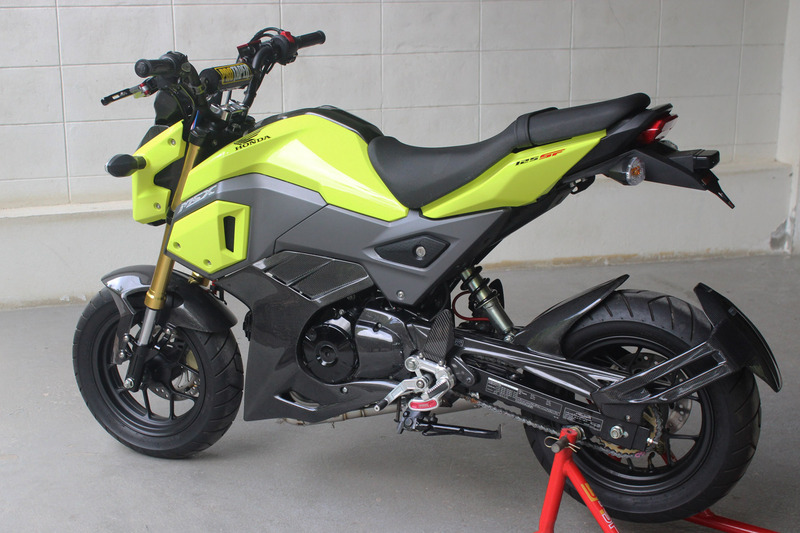 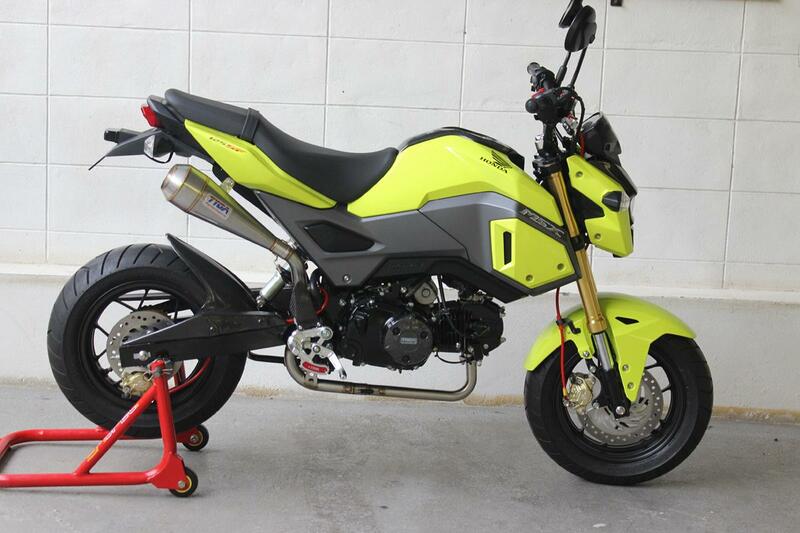 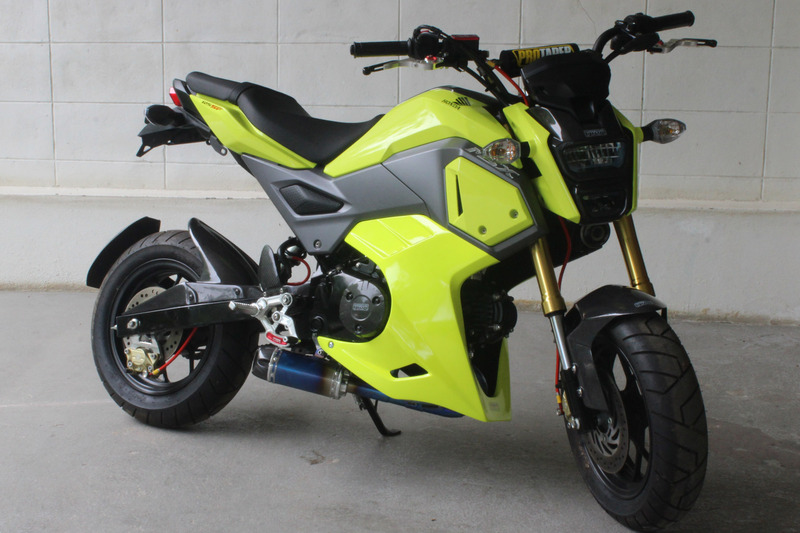 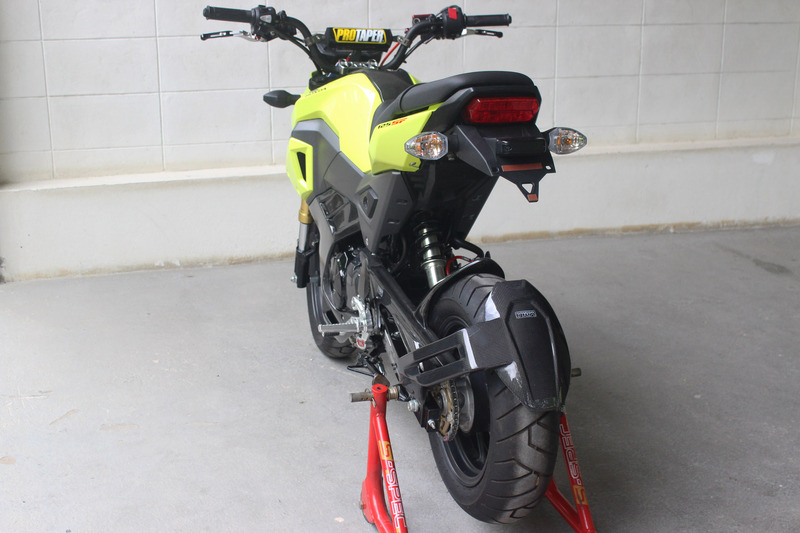 This fully TYGA kitted out second gen MSX125SF / GROM is not like one of our usual projects but more a rolling showcase of our products, to continue the success of the first generation. 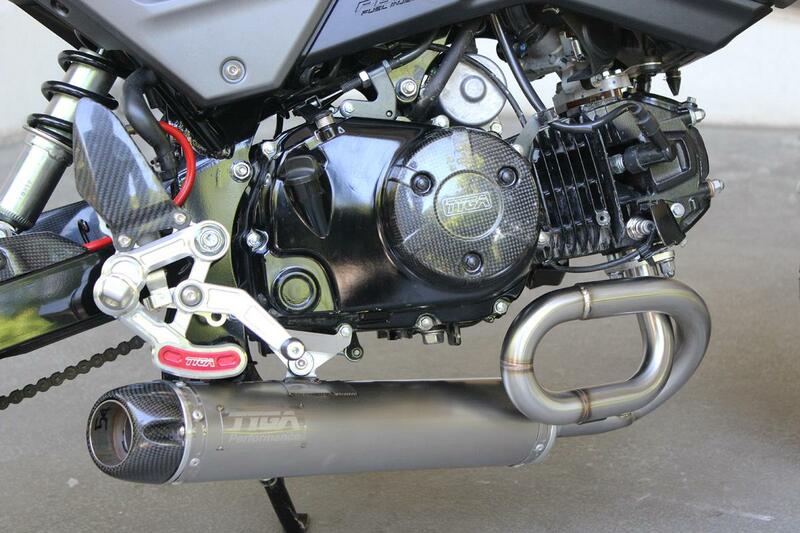 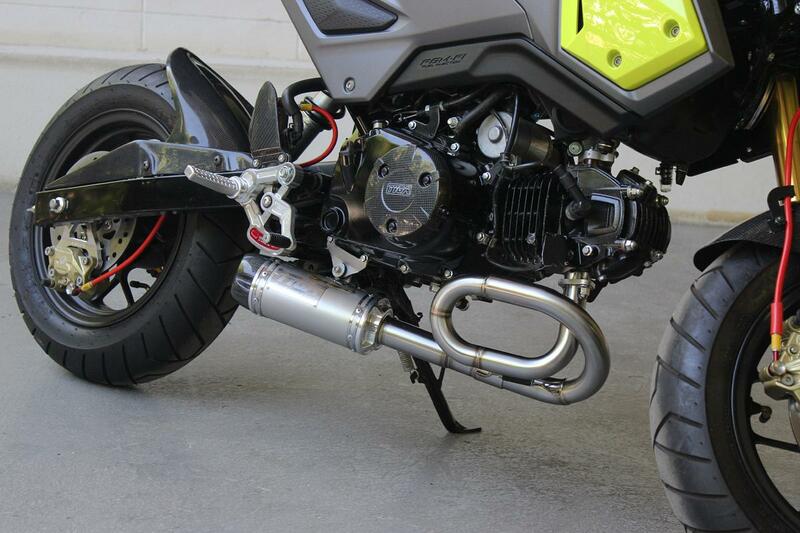 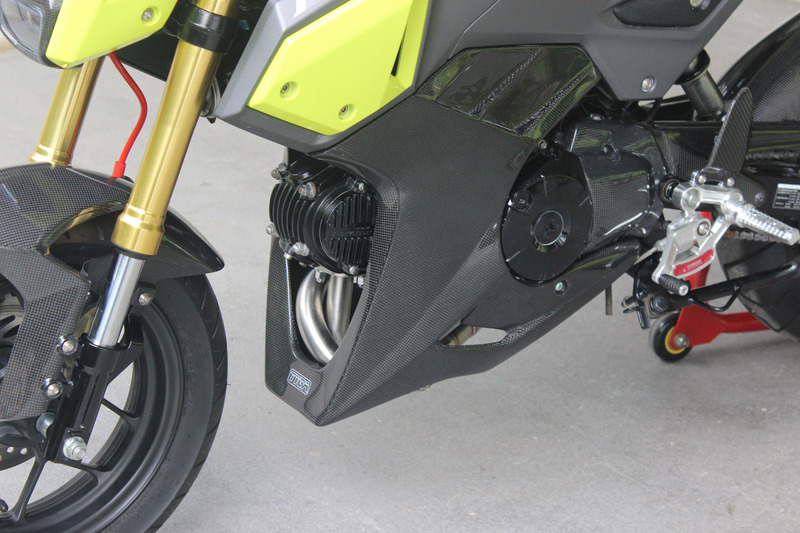 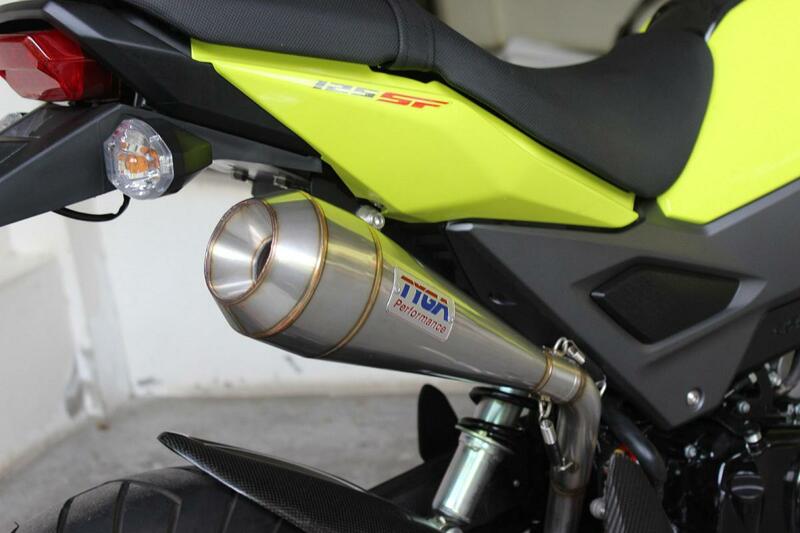 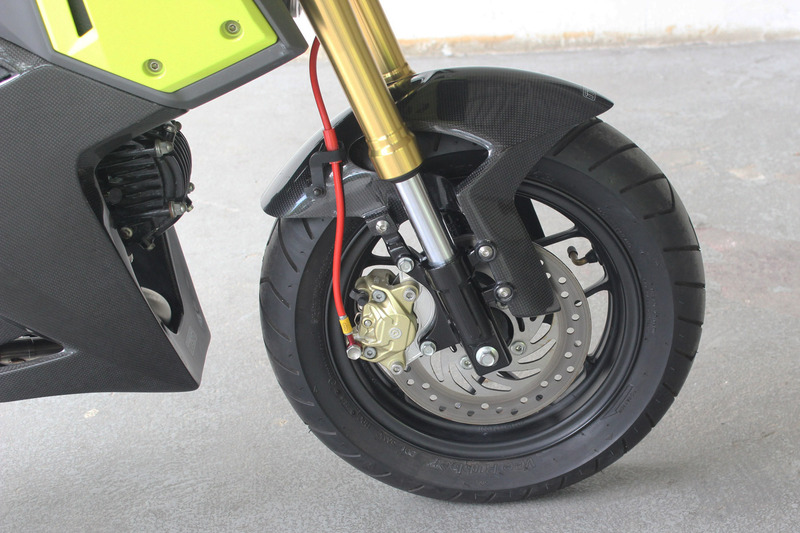 Full range of exhaust systems and silencers, High Level and Underbelly. 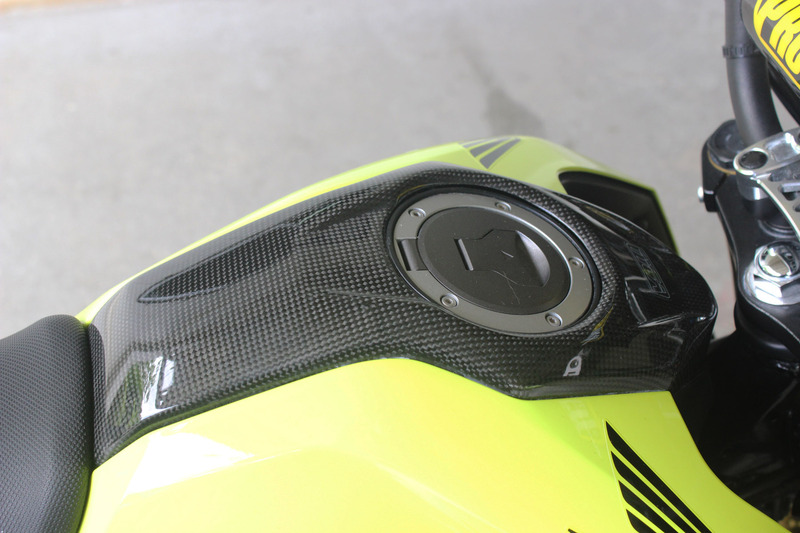 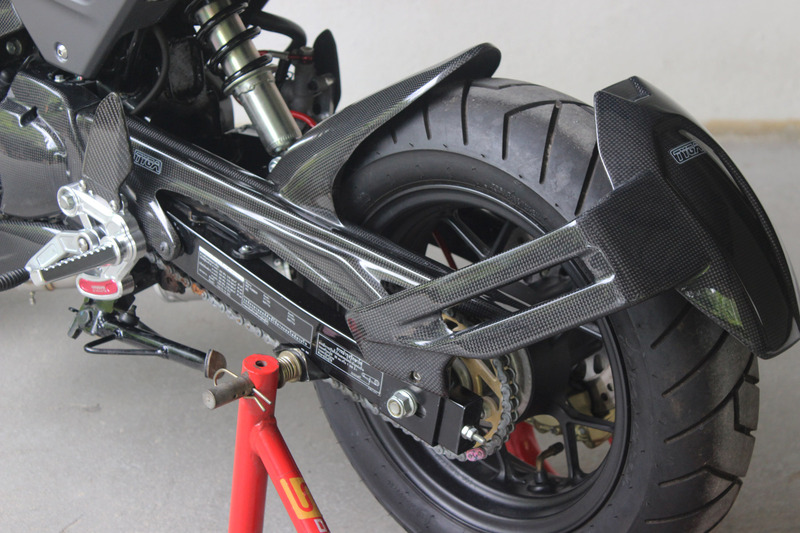 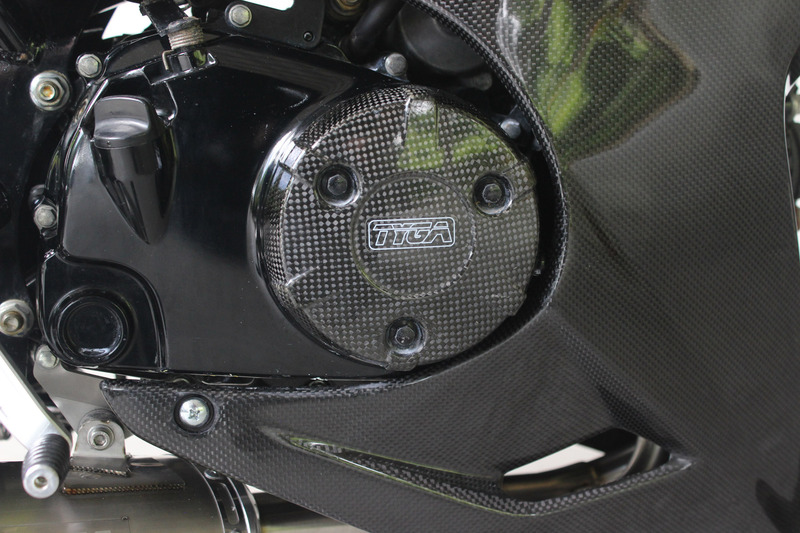 Lot's of Carbon Fibre and GRP bodywork parts.